No matter the keepsake, Misc Me is the perfect system to help capture and preserve your memories. One section of my Misc Me is "the recipes" that I collect from everywhere: from my friends' advice, from my mother's cook book, from magazines. 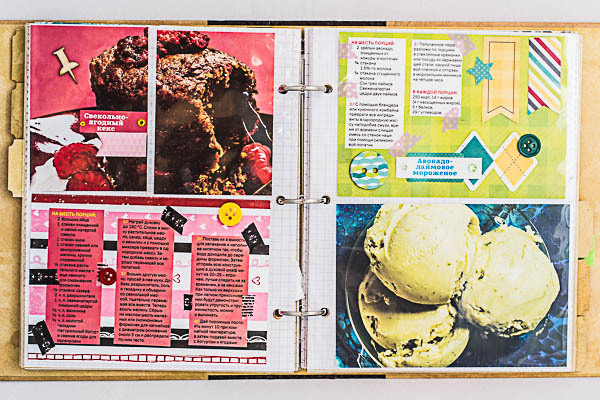 At this time I will show exactly the recipes that I found in the fitness magazine. This recipes of beetroot-berry cake and avocado-lime ice cream - it's delicious and very useful! 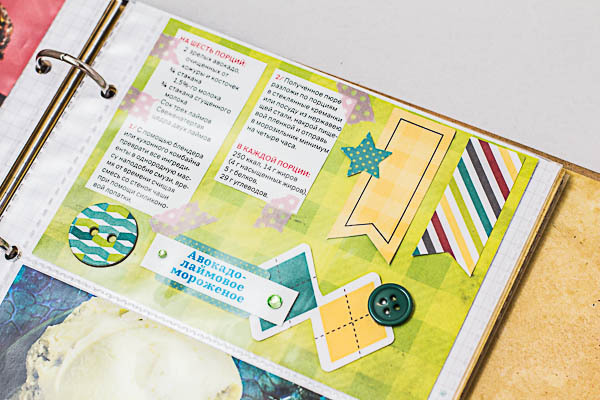 Now it is very convenient to store recipes from magazines. It is very simple and functional for me! I just picked up a paper background with a suitable color (it is very easy to find almost any desired color of BB paper!) 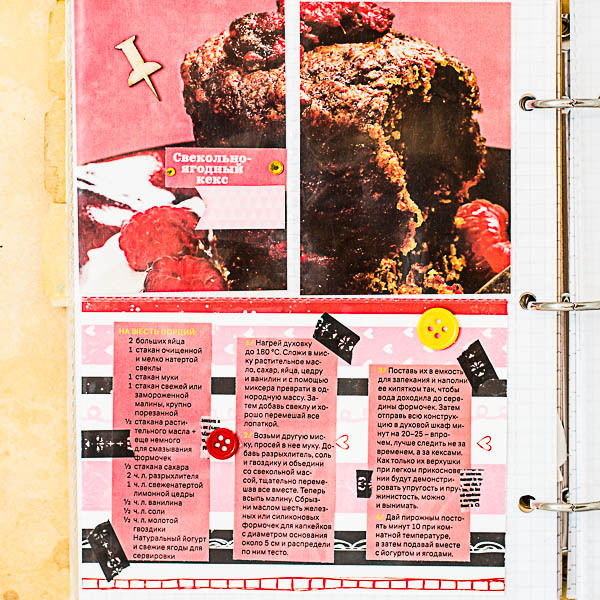 Paste on it the picture and the recipe cut from a magazine - and voila - you're done! Next spread is a good recipe from the old cookbook. It was difficult to use it because of its age, but in fact recipes are necessary! This is the way I prefer to use it! I want to confess: I glue thick decorations right on page protector. It is very beautiful to mount ingredient lists with washi tape, I think. I am creating a keepsake album for my daughter using Misc Me. She will use this keepsake to record her memories of going to culinary school and other memories she had growing up in a house where cooking was always a ritual and a pleasure. 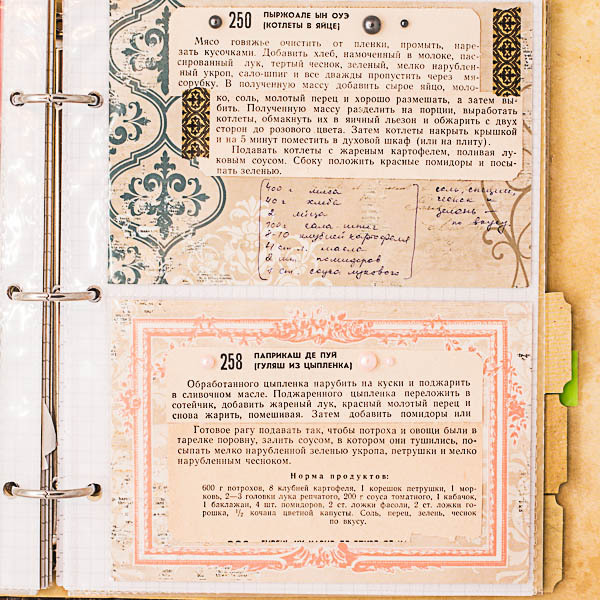 The page on the left has a waterfall feature which gives you more "real estate" for journaling those special moments. Below is a picture of my daughter receiving her diploma on the day of her graduation. In between the left and right page is a divider from the Avenues Journal Dividers set. I have attached a small pocket envelope that I created by die cutting one of the papers in the Avenues Note Paper set. This is a view of the back of the divider and you can see the right page in it's entirety. I attached another one of the envelope pockets I created. When you turn the page, the left page has 2 more envelope pockets and 2 photos. (It is shown out of the Pocket Protector for photography purposes.) 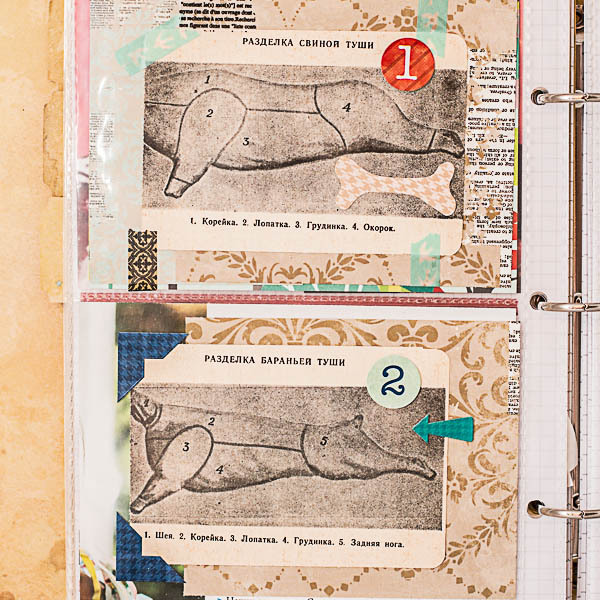 On the right side, the page is from the Journal Dividers set. The divider I used has a pocket that I tucked 3 mini booklets into. Here is a closeup of the waterfall journaling feature. This created more room for either journaling or adding more pictures. You can visit my blog for more photos and details on how I constructed these pages featured today. 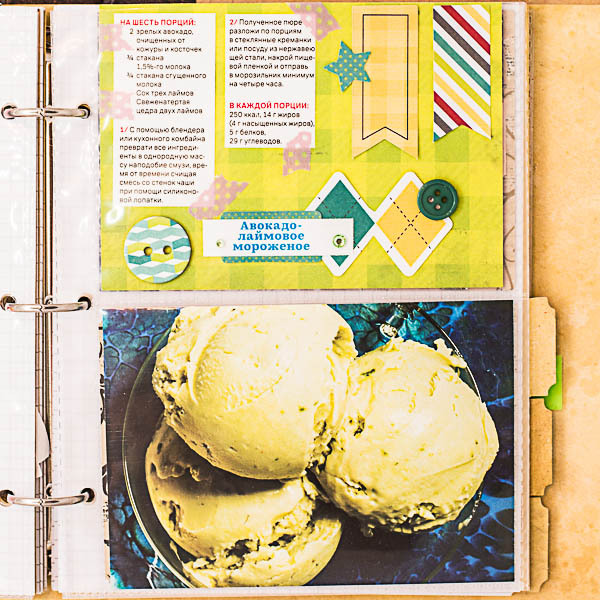 No Matter what you want to journal, Misc Me is the perfect for creating that special keepsake to do it. More gorgeous Misc Me creations! I really enjoyed this week full of inspiration!